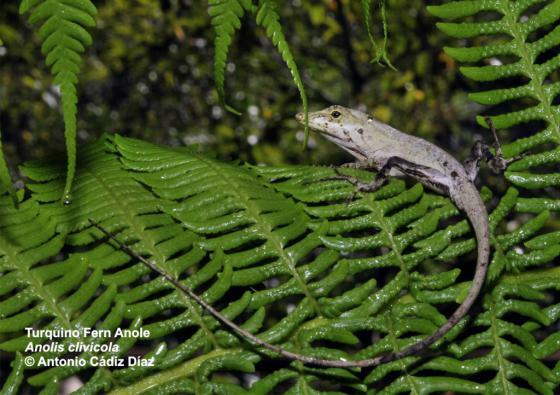 Can you confirm these amateur observations of Anolis clivicola? Type locality: Loma Cardero, Pico Turquino, 4000 ft.-6000 ft., Santiago de Cuba Province, Cuba. Comment For illustrations see Ruibal, 1964. Barbour, T. and B. Shreve. 1935. Notes on Cuban anoles. Occ. Pap. Boston Soc. Nat. Hist. 8: 249-253.